There will be a total eclipse of the Moon on Sunday January 20th and this will be the last total lunar eclipse that we get to see until May 2022. The Moon will also be what the media likes to call a "Super Moon" meaning that it will be at it's closest to Earth. Observers should start watching at about 7:35 p.m. when the moon moves from Earth's penumbral shadow into the dark umbral shadow. Over the next hour and seven minutes you will see the Earth's shadow creep across the face of the Moon. By 8:42pm the Moon will be totally eclipsed and it could be anywhere from brick red in colour to a copper orange. Totality ends at 9:44 p.m. and the Moon will slowly become brighter. People don`t need a telescope or binoculars to see this but I am hoping to set up the telescopes at Taghum Hall for anyone who wants a close look at the surface of the Moon as the shadow moves across it`s face. If there are more clouds than clear sky you can assume there won`t be any setting up the telescopes. 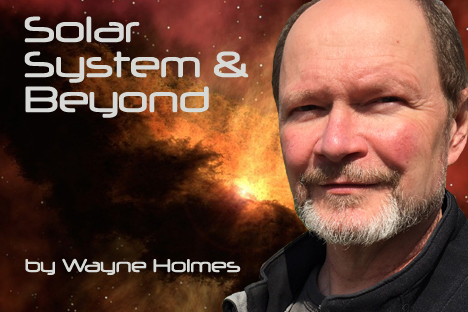 Local Astronomer Wayne Holmes has had an interest in astronomy since he got his first telescope and began reading about the objects in the sky at a young age. As the coordinator of the Starry Nights program at Taghum Hall as well as multi session astronomy classes as part of the Learning in Retirement program and astronomy programs for schools, Holmes has always had a desire to sky gaze. Holmes writes an occasional column, Solar System and Beyond that appears in The Nelson Daily.